Guava and cinnamon atole ~ Yes more please! 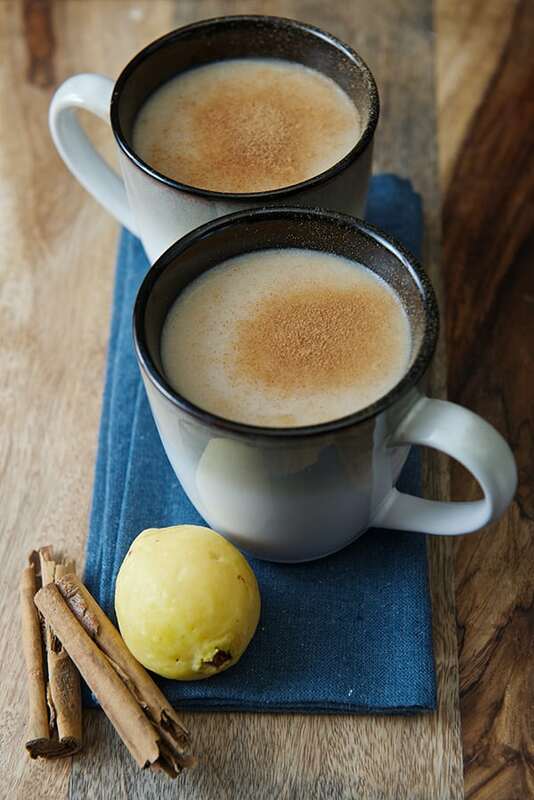 Quick Fire Recipe, this is a delicious warm drink ; “Atole “it does not have an exact translation, this drink dates from the pre-columbian times. Moctezuma used to drink it sweetened with honey. The best way I can describe it is a warm cozy, slightly sweet and fruity light porridge. The consistency of atole varies anywhere from almost porridge-like to a thin, pourable drink. 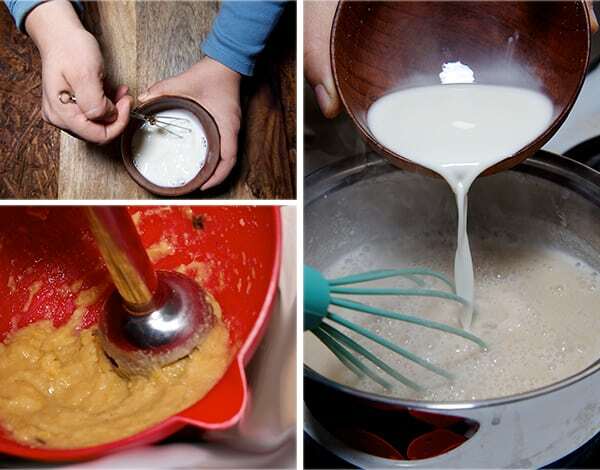 It is made with milk, sugar, piloncillo or honey, fresh fruit, cinnamon and a little bit of cornstarch or masa. Other fruit variations can be: strawberries, blackberries, plums, mango, grounded pecans, cocoa powder, or simple vanilla. 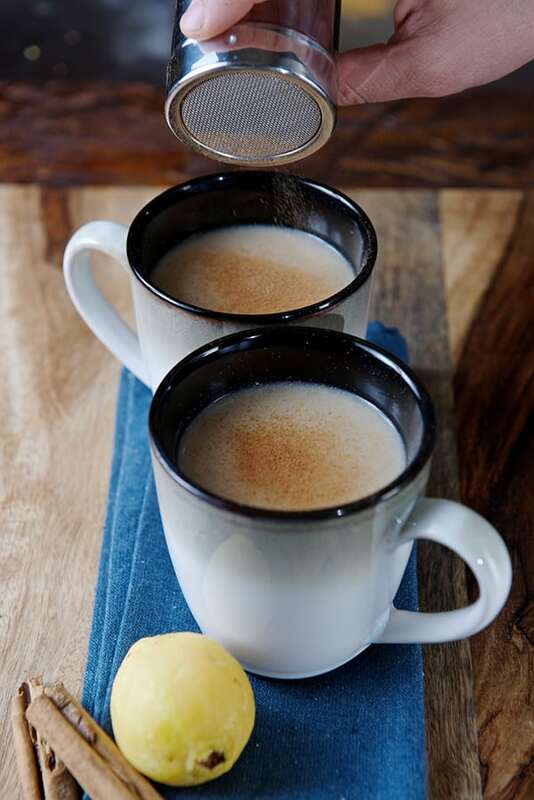 I love this Guava and Cinnamon Atole, it is warm and the fruit makes this drink simply delicious. I hope you like it as much as I do, Enjoy! 2 tablespoons Corn starch disolver in 1/4 cup of cold water. 1. 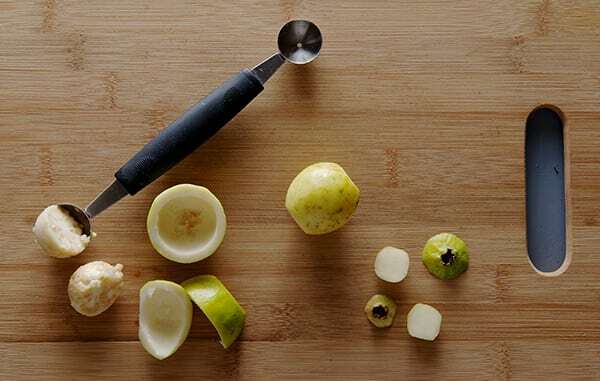 Cut and remove the seeds of the guavas and boil them in a small sauce pan with enough water to cover them, add a stick of cinnamon and cook them until fork tender. pure the guavas. 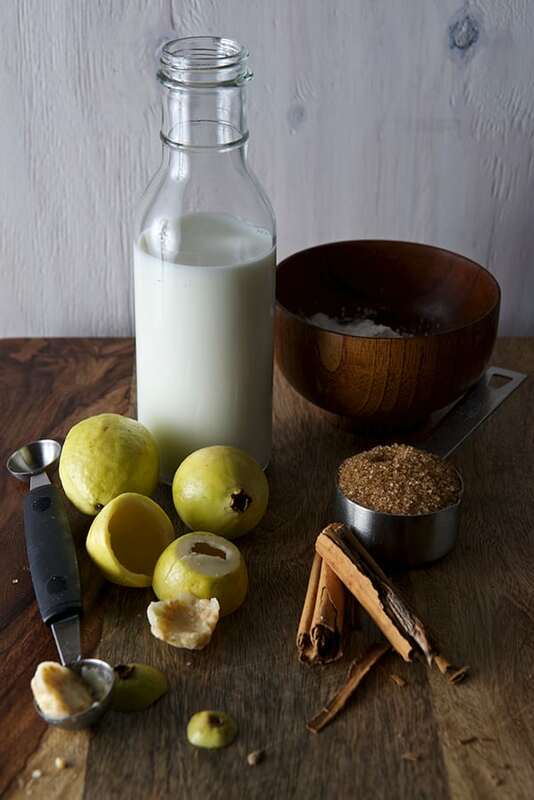 3.Once that the milk is warm add the guava pure, stir until well incorporated, and add the cornstarch dissolved in cold water little at the time and stirring the milk at all times until it thickens a bit. let it come to a soft simmer. 4. Serve warm un a mug and dust with cinnamon.